We can now offer you 3D Resin Domed Adhesive Labels at great prices thanks to our suppliers exciting new state of the art fully automatic resin doming machine. We have developed a range of 10 different shapes and sizes that will suit many applications. 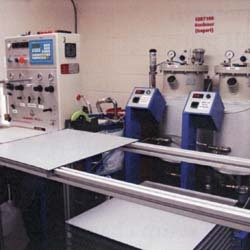 Drying time for expoxy resins is at least 48 hours, so please be aware of this when you have delivery deadlines. Note - there is a minimum of 250 units per order. Resin Domed labels have been a huge growth product world wide and the potential in New Zealand is massive. They have thousands of applications and offer a permanent full colour solution for labeling and branding that looks and is superior to conventional vinyl labels. They are already being used in the promotional industry for branding products. Many of you will be familiar with them for branding key rings, portfolios and many other promotional products that are traditionally difficult to permanently brand or where a full colour logo is required. 3D Resin Domed Adhesive Labels are also a great stand alone product used for branding cars, computers and accessories, furniture, household appliances and hundreds of other everyday products. Permanent Adhesive Labels with a Clear Epoxy 3 Dimensional Resin Coating in Full Colour. Note the prices above exclude GST. Setup $66.50 full Colour, repeats only $47.50 plus GST. Includes first half hour of artwork. Subsequent extra artwork $75.60 per hour (both excl GST). Note the prices above exclude GST. Setup $66.50 full Colour, repeats only $47.50 plus GST. Includes first half hour of artwork. Subsequent extra artwork $75.60 per hour (both excl GST). Minimum order 250 pieces. Drying time for epoxy resins is at least 48 hours so please be aware of this when you have delivery deadlines. For special sizes please ask for a quotation.